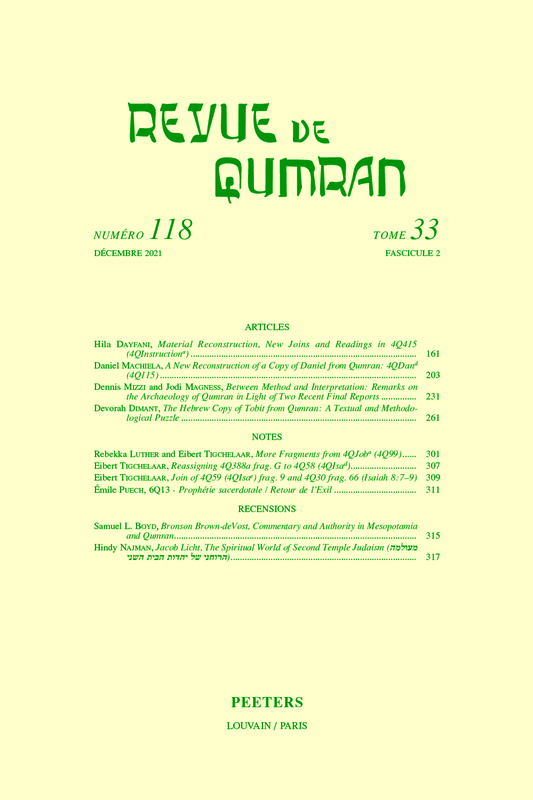 Revue de Qumran was founded by Jean Carmignac in 1958. It is a leading international journal dedicated to the study of the Dead Sea Scrolls and the significance of these manuscripts for our understanding of the Ancient Near East in the Hellenistic and Roman period. It concerns ancient Jewish or Christian literature, history, archaeology and epigraphy...A detailed book review section dedicated to the Dead Sea Scrolls and cognate literature is included in every issue. 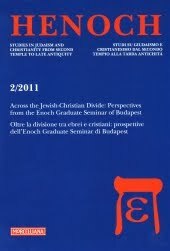 Devoted to studies in Judaism and Christianity from the Second Temple to Late Antiquity. Jewish History, the sole English language publication devoted exclusively to history and the Jews, expands the horizons of historical writing on the Jews. Not only does the journal publish contributions from the field of history, but also from the intersection of history with art, literature, sociology, and anthropology. The oldest English-Language journal in the field of Jewish studies. In JQR the ancient stands alongisde the modern, the historical alongside the literary, the past alongside the present. Established in 1993, Jewish Studies Quarterly (JSQ) offers studies of Jewish history, religion and culture. JSQ publishes articles and issues on special themes, on multidisciplinary topics, as well as on any relevant subject, historical period, text or thinker in the study of Judaism. The Journal for the Study of Judaism is a leading international forum for scholarly discussions on the history, literature and religious ideas on Judaism in the Persian, Hellenistic and Roman period. 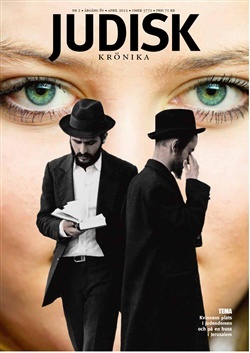 The Review of Rabbinic Judaism - Ancient, Medieval, and Modern, the first and only journal to focus upon Rabbinic Judaism in particular, publishes principal articles, essays on method and criticism, systematic debates, occasional notes, long book reviews, reviews of issues of scholarly journals, assessments of textbooks and instructional materials, and other media of academic discourse, scholarly and educational alike.